We have featured a few Popcorn inspired recipes here on AME like Popcorn bars and ways to use Popcorn around the holidays. I never thought such a simple snack could be used in so many different ways! We learn new things every day! 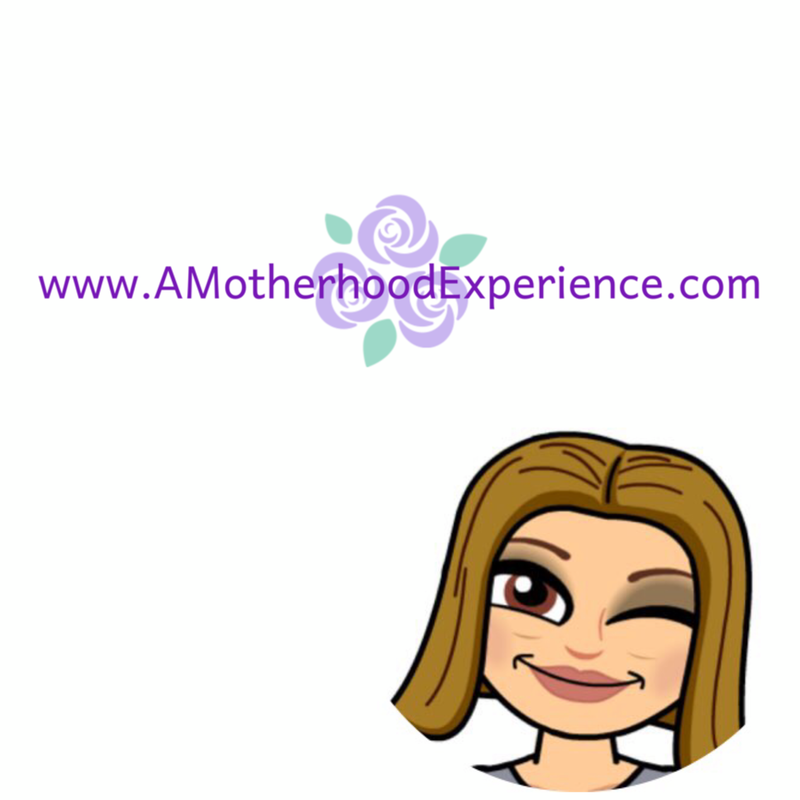 Mompreneur and food specialist, Korey Kealey, has come up with some great Popcorn inspired recipes! They are not what you'd typically expect from popcorn like "Popcorn Tacos" for dinner and "Peanut Butter Popcorn cookies" for dessert. 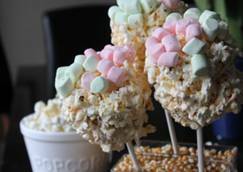 One in particular I think would be a great snack for a playdate or birthday party is "Fruity Popcorn Pops"! Prepare Orville Redenbacher's® SmartPop! microwave popcorn according to package directions; remove from microwave, shake and leave closed to keep hot. Place 2 cups (500 mL) marshmallows and butter in large microwave safe mixing bowl; microwave on HIGH for 30-45 seconds or until marshmallows are puffed up and butter is beginning to melt. Stir lightly; open hot popcorn bag; add popcorn to marshmallow mixture; stir gently to blend. In muffin tins, divide remaining marshmallows between the 6 cups (there may be extras); form popcorn mixture into large balls; press ball into cup with marshmallows; press firmly. Insert lollipop stick. To serve: Place Orville Redenbacher's® Gourmet® Popping Corn kernels into glasses or vase; fill to top. Remove popcorn pops from muffin tins and set into popcorn kernel filled glasses or vases. Enjoy! 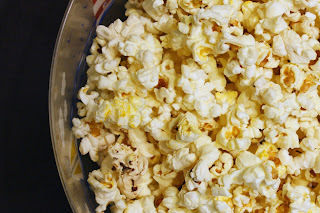 For more recipes and all things popcorn please visit www.orville.ca and follow Korey Kealey on Twitter @FoodThought! Disclosure: Not a sponsored post. Information provided by Orville Redenbacher's® and posted by AME in interest to my readers. Opinions and comments are those of AME.